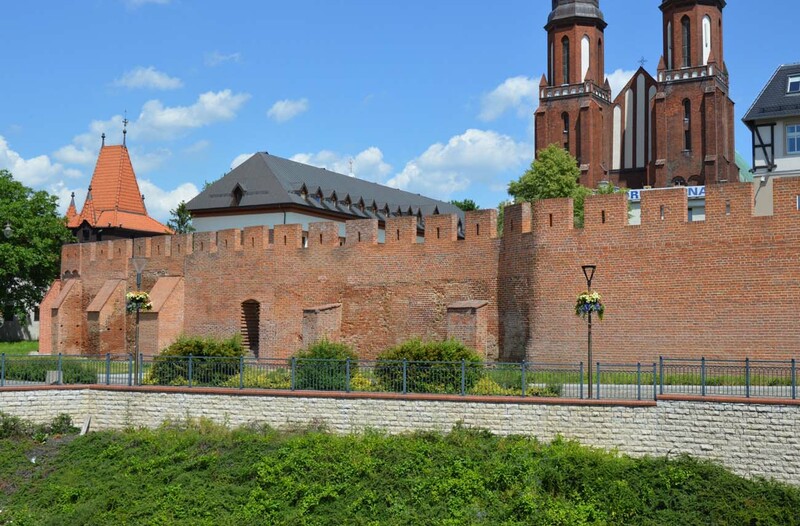 Masonry fortifications began to be erected in Opole on the site of older wood and earth, under the reign of prince Bolesław I around 1285. 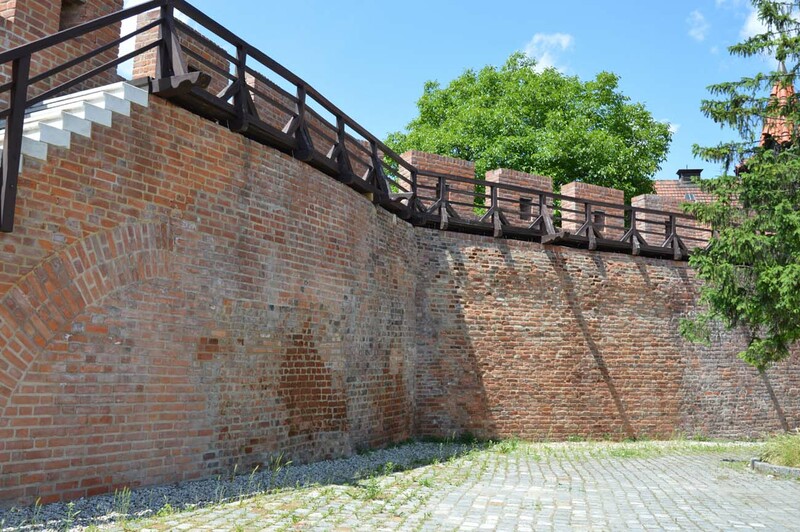 However, the first reference to the functioning defense wall dates back to 1391. In 1395, the Polish king Władysław Jagiełło besieged the castle and the town belonging to Władysław Opolczyk, where his nephews defended. 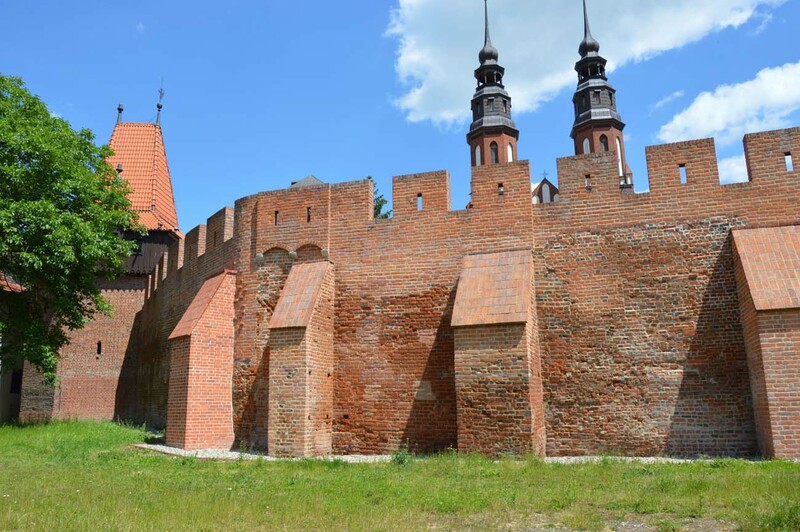 The town was also besieged by the army of Casimir IV Jagiellon in 1474 for the support given by Mikołaj I of Opole to the Hungarian king Maciej Korwin. In 1497, after the body of prince Nicholas II was transported the Nicholas Gate, which was cut down by the court’s judgment on the market square in Nysa, the gate was bricked up. In 1578, due to the Turkish danger, the last major renovations of the fortifications were made, and the town gates were also extended with necks and foregates buildings. In 1583 and a year later, a few towers were repaired, but part of the already ruined wall had to be patched with an ordinary fence. In 1588, the porch of the defenders on the walls was covered with shingles, and in 1591 the towers were covered with tiles. These last renovations did not seem to be much, because, according to the sources from 1602, through the gaps in the walls, the vagabonds passed freely. 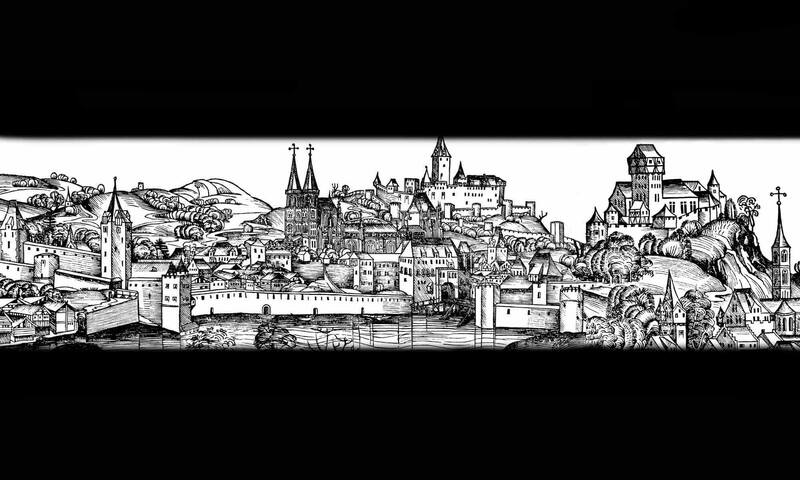 The tragic period for the town was the Thirty Years War. First the town was plundered by the mercenaries sent to the relief of the Vienna, then in 1642 the Swedes fighting against the Habsburgs. At the end of the 18th century, due to the development of military technology, they lost their military significance and were demolished in 1819-1848. 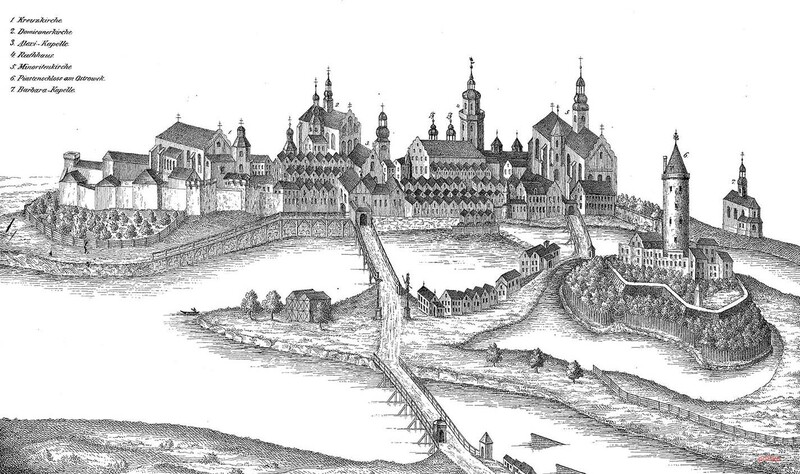 Medieval Opole had a shape similar to a rectangle with rounded corners, in the western part fitted to the line of the Młynówka river. 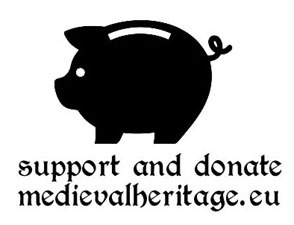 The defensive walls included a medieval settlement town of 16 hectares, so it was one of the most extensive urban organisms in Upper Silesia. The wall made in the opus emplectum technique was 2,3 to 3,25 meters thick and 6,6 to 7,5 meters high. Observed differences in the structure of even neighboring fragments probably result from the construction of sections, perhaps by different groups of masons, and not from clear chronological differences. The wall was topped with battlements, behind which there was a sidewalk for defenders. At critical points, wall was strengthened with bartizans, and the entire ring of fortifications was strengthened with sixteen towers. 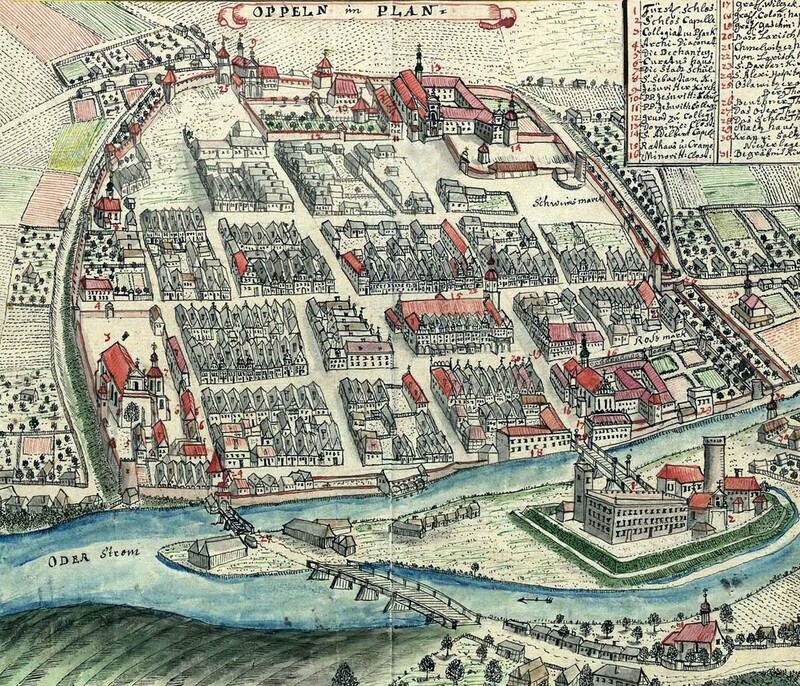 Five gates led to Opole. From the south, the Bytom Gate, also known as Kraków or Groszowicka, from the east the Upper Gate also called Gosławicka, from the north Bishops Gate also called Nicholas Gate, and from the west Oder (Wrocław) and Castle gates. 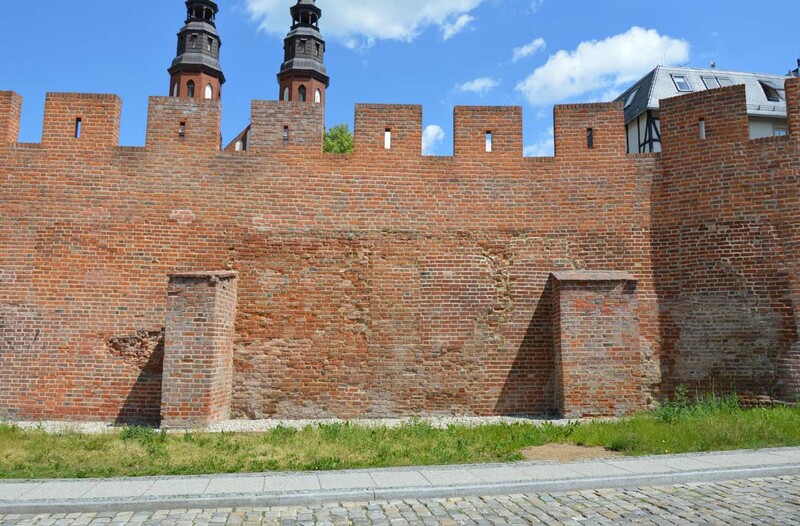 The Oder Gate had a rectangular plan measuring 8 x 9 meters with a passage of 3,75 meters. Comparing the plan of the Oder Gate with views of other town gates it seems that they were originally erected in an analogous form. Later, the Bytom Gate was strengthened by a barbican, and the Bishops Gate was bricked up in 1497 after the corpse of prince Nicholas II was transported by it. Apart from the Bytom Gate, also other town gates were later expanded with short necks and foregate buildings. 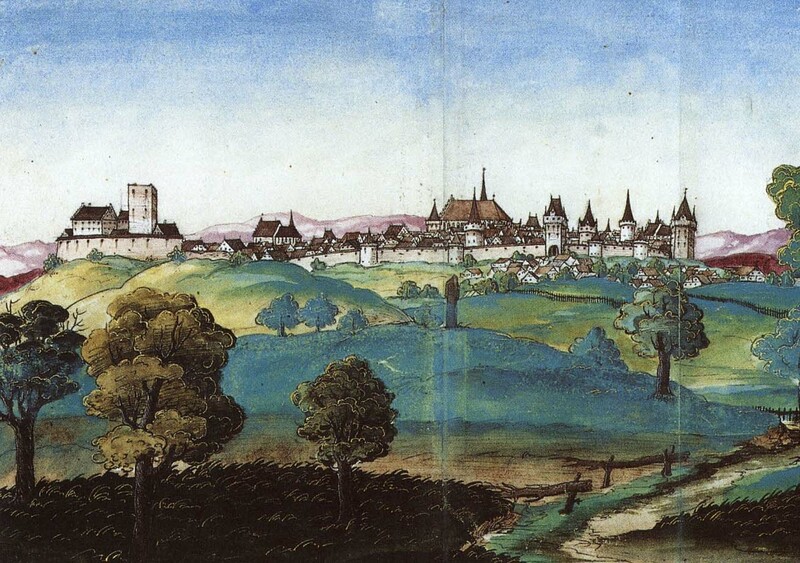 Behind the walls, the town was surrounded by a wide and deep moat. In its northern section it was 16 to 18 meters wide and even 5 meters deep. Between the line of the wall and the shore of the moat there was a wide foreground of over 12 meters. On the section from Młynówka to the Wolf Tower, there was later a double line of the defensive wall and the second line of the moat. The best preserved fragments of defensive walls can be admired only in the area of the convent of the Sisters of Notre Dame and partly reconstructed at the cathedral. In the monastery area is standing, the so-called Wolf Tower, and next to the cathedral, the so-called Fisherman’s Tower. Sypek A., Sypek.R., Zamki i obiekty warowne od Opola do Żywca, Warszawa 2014. Website skladnica-gornoslaska.pl, Miasto Opole i mury obronne.